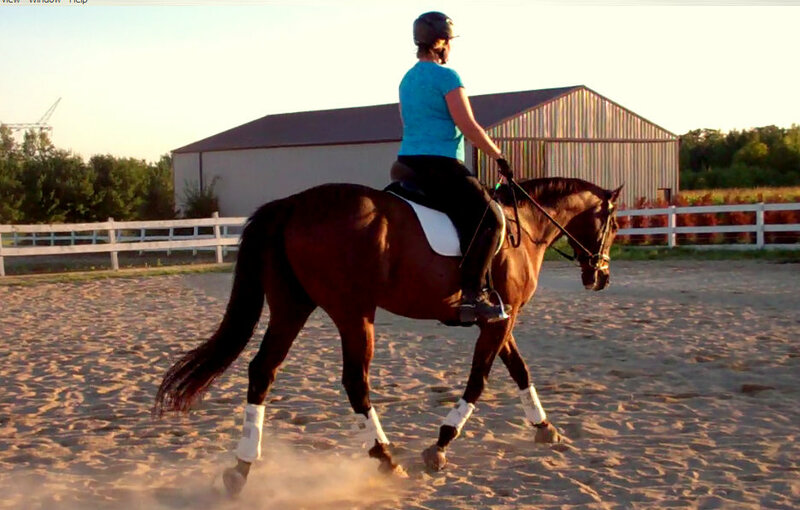 A better canter is easier to sit on correctly. My posture looks much better. Today temperatures got back up into the 90’s, and Derbs was sweating just standing in his stall. Because he’s often at his laziest on hot days, I was curious to see if last night’s focus on ‘forward’ would translate to tonight’s ride. It did! 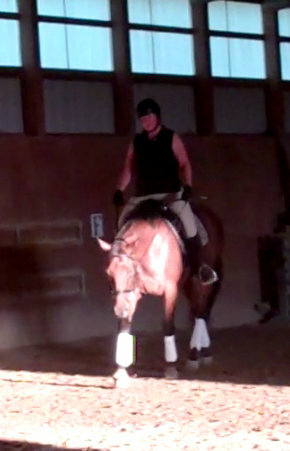 Right off the back Derby stepped into a good trot, and he didn’t require any sharp reminders with the whip. 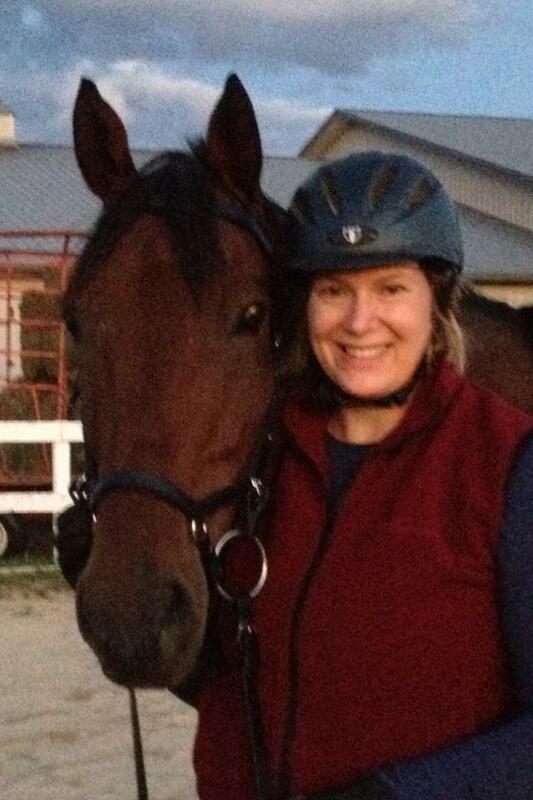 I didn’t have to do any Pony Club booting either. We had a really nice ride. I was thrilled. Importantly, I think I can perserve these forward gears. I was motivated by watching some recent videos and not being happy with how we looked. 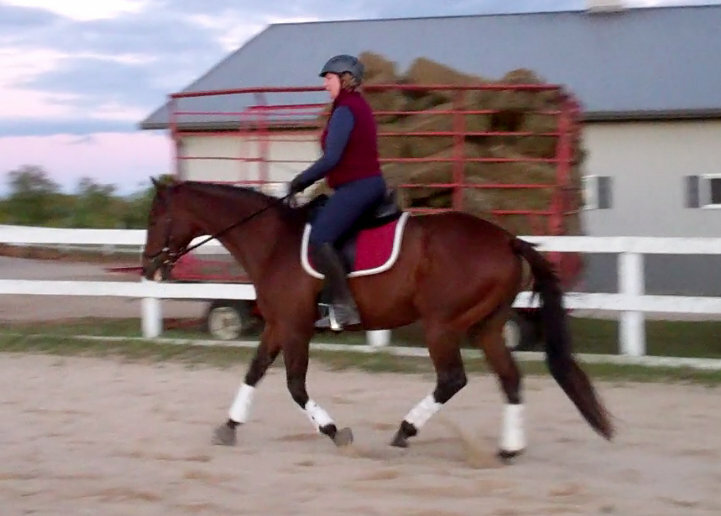 When Derby is behind my leg, I have to work hard, which is totally exhausting, and it’s terrible for my posture. 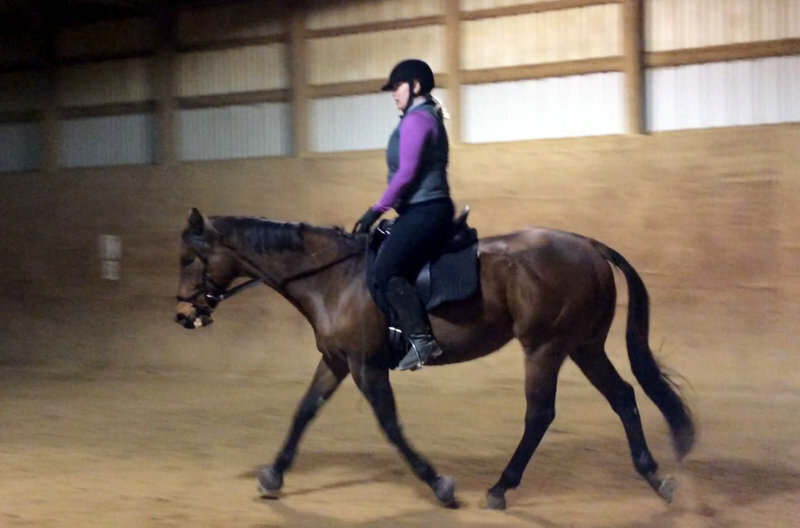 When I’m trying to push him forward, I essentially push with my whole body – tipping forward and closing my hips, which puts the brakes on Derby’s forward gears. 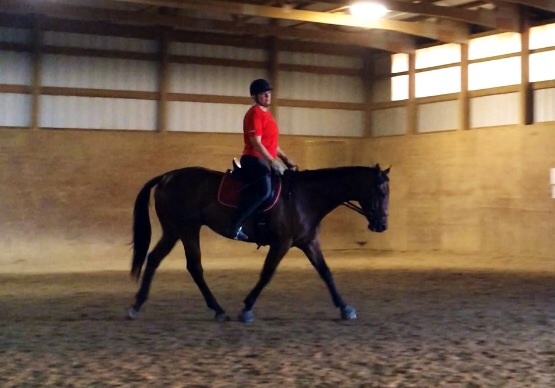 The quality of his gaits improved across the board. 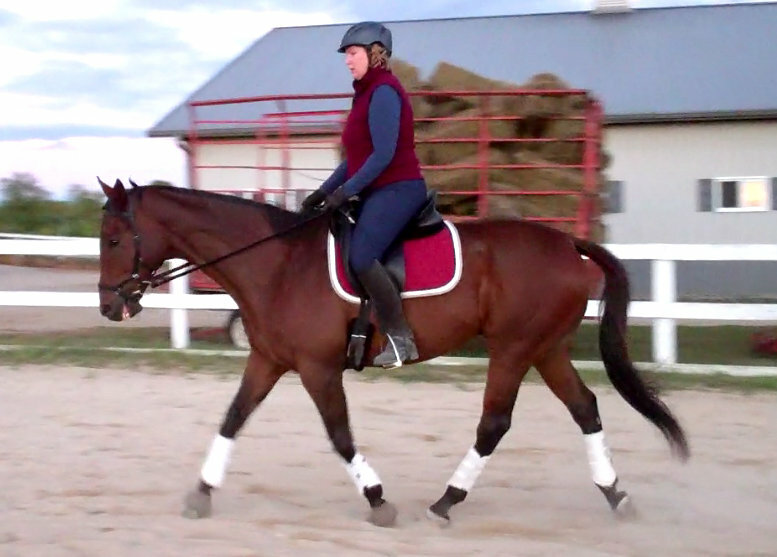 We have a legtimate, swingy medium walk, a very nice free walk stretching into contact, and a rhythmic canter. 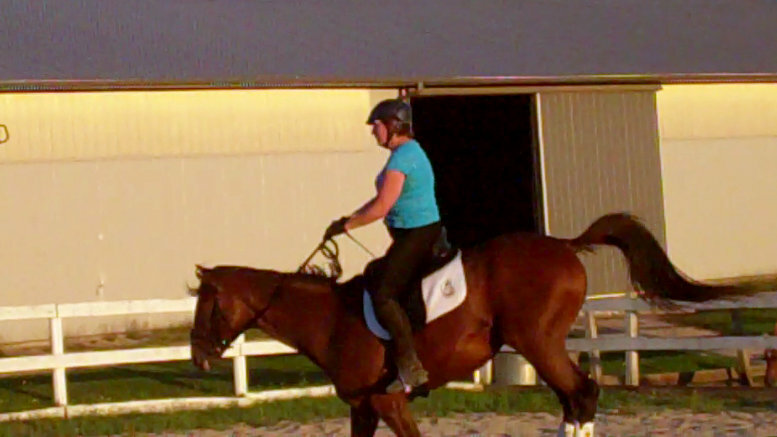 When he’s behind my leg, his canter gets lateral. It’s awful. Tonight, it was pretty nice. I’m hoping to work another lesson in tomorrow. I want to keep this momentum going. While the new seatbones and leg position changes aren’t yet habit (I repeat the mantra “Lengthen lengthen,” going into each bend and corner) it’s already helping improve my position, because my core in more engaged. Two days on from the discoveries about my issues and the subsequent fixes, my seat at the canter has improved – I’m sitting much straighter. I’d still like to see myself elevate my ribcage more, and my hands are creeping back into my lap (I don’t have a straight line from elbows to hands to bit) but I can see improvement from earlier this week, which I’ll take. 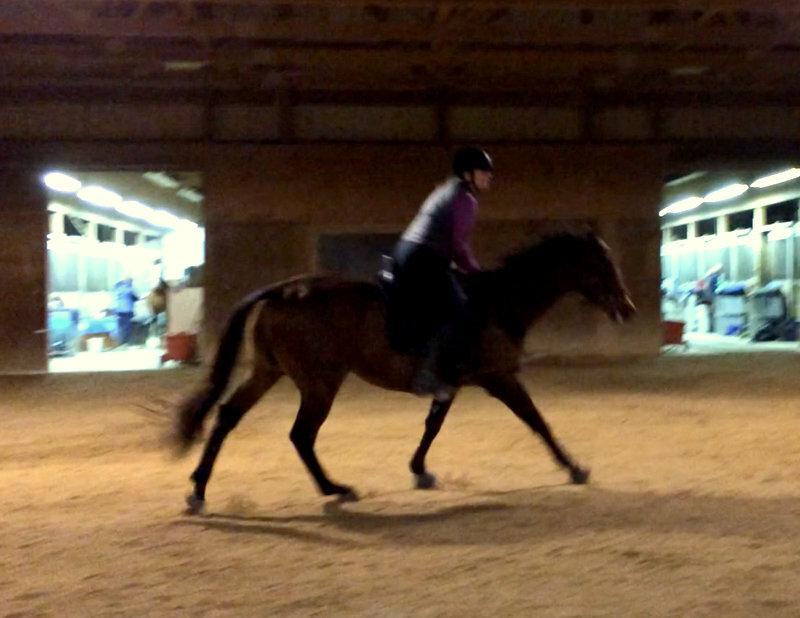 I have to do a lot more work at the canter – and trot/canter transitions – but we’re heading in the right direction. Better core engagement is also helping in the w/t and t/w transitions. 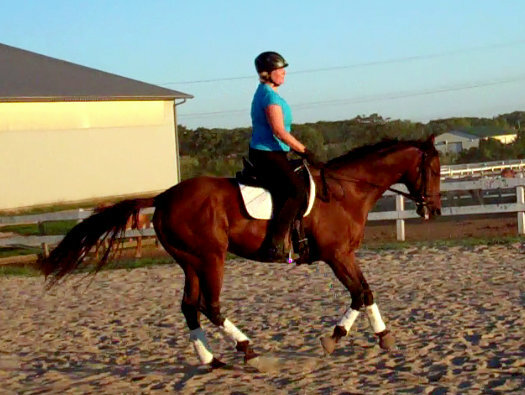 While my downwards are getting pretty reliable, keeping Derby round and on the bit in the upwards can still be spotty. 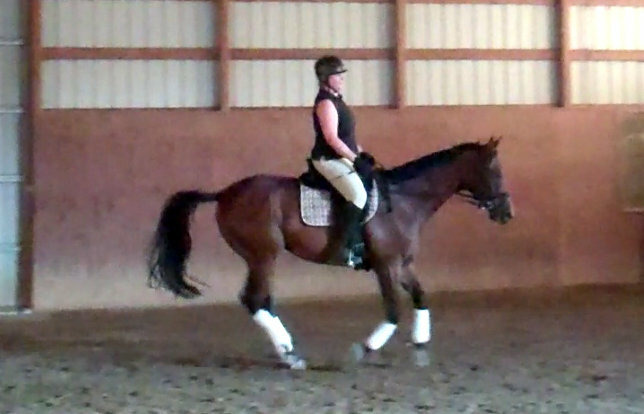 I’m up early this morning watching the first day of team dressage at the Olympics, and hope I have enough gas in the tank for a good ride tonight. 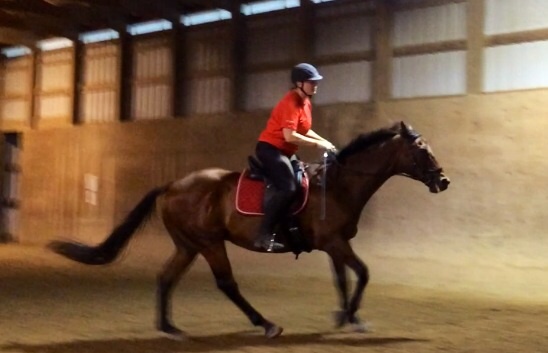 I petered out after about 40 minutes – which included a long warm up. From a cardio standpoint I’m doing fine, but I’m still struggling with muscle endurance. 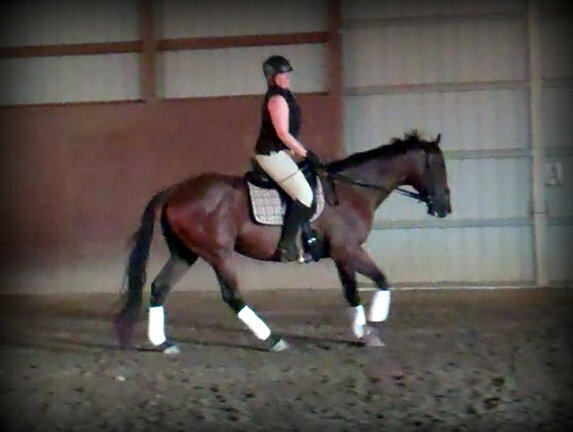 I’m paying attention to my diet (plenty of protein, and healthy carbs before I ride) but suspect that I’m just in need of more wet saddle pads. 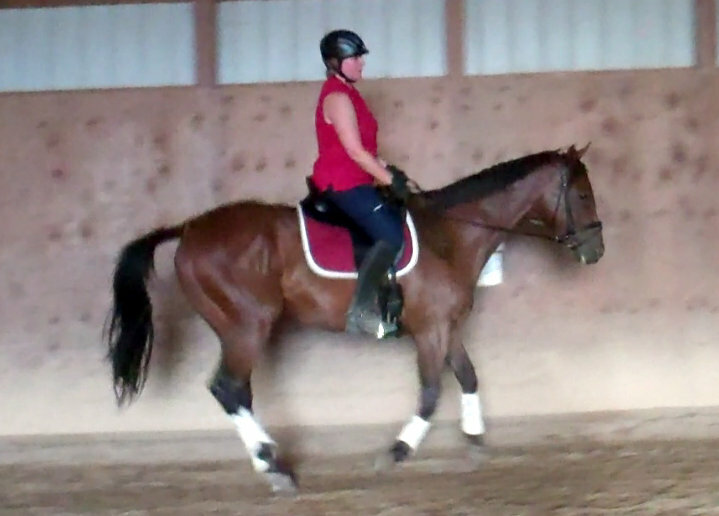 The problem is most evident after canter work, which tells me something. If you would prefer to watch dressage with some good commentary, or if you can’t access NBC’s live streams on their web site, here’s how you can watch the rest of the Olympics by accessing the BBC’s live feed: Go to VPNAuthority.com and spend $7.50 for one month of VPN access. This will allow you to get around the fact that the BBC Olympic streaming is blocked for the US. Follow set up instructions and be sure to select a European server instead of a US server. The set up is very easy. Just follow the instructions. Once connected to the net via VPN Authority, you can go straight to the BBC.co.uk site, where you can access their Olympic stream.